First, Earl (Clint Eastwood) just wants a new truck. Then to get his foreclosed business back. Next, to restore the VFW, an ice rink, and pay for a wedding. Earl’s a good guy, but he’s a member of a lost, forgotten generation. He sold flowers – and loved flowers even – but the internet cost him everything. So, he begins hauling cocaine for a Mexican cartel to pay for this stuff. The Mule is Eastwood at his most interesting. Eastwood produces, directs, and stars in a feature willing to confront racism and learn from an increasingly progressive society. A staunch conservative (lest anyone forget the time Eastwood spoke to a chair at the RNC), The Mule doesn’t judge, unlike Eastwood’s recent output including the vapid anti-government falsifications in Sully. Earl jokes with Mexican men paying him to deliver drugs cross-country, feeding Chicago a consistent supply of powder. When he stops roadside to help a black family, he’s apologetic for referring to them as “negros.” He accepts. He’s willing to listen to their rightful ire. Co-stars Chris Cooper and Michael Pena play DEA agents, growing ever closer to wrangling Earl’s hundreds of kilos. Unlike Earl, they do assume, typecasting Mexicans, even pulling one over under the assumption he was hauling. But no, it’s the old white guy who never so much as saw a speeding ticket at fault. Racial typecasting fails, an unusually progressive stance. Earl is a man who lived his life to work. Social norms passed him by. Cell phones remain a grand technological mystery to him. And, instead of passing judgment on the illicit drug trade, immigration, or other current events, like Earl, The Mule drops those pretenses to tell a story of a man in late life, seeking recovery from his mistakes. It turns out, Earl isn’t flipping through envelopes stuffed with $100 bills for himself – he’s doing it for reconciliation. Abandoned by a resentful family (Earl was a failed father), the money from runs pays for his granddaughter’s college education and wedding. In that, Mule finds its amusing, even cozy center – a man doing the right thing when doing the wrong thing. Spanning the States, Earl spends his time in a truck, singing along to ‘50s and ‘60s pop hits, soaking in this period of his life. It’s never about the drugs, but an escape, a means to keep himself going and purposeful when society chose to leave people like him behind. 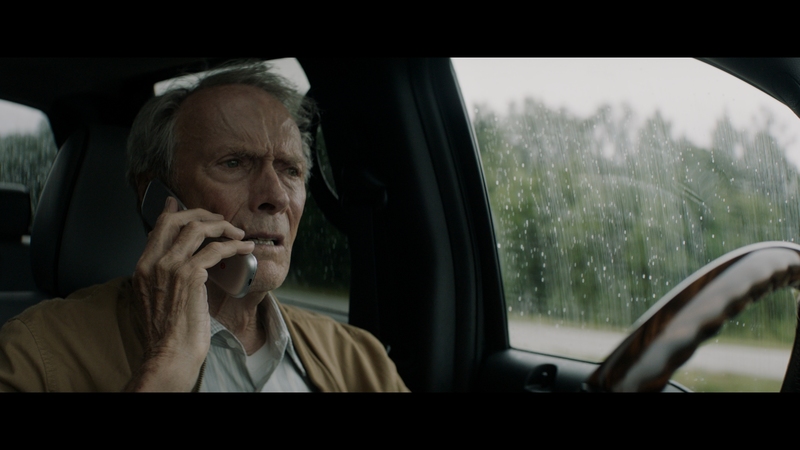 The Mule finds a sympathetic heart; Eastwood makes Earl an intensely likable, genuine figure who exists outside of culture. He’s just Earl. Partway through, The Mule sends Earl out again, but he’s since realized life isn’t about money – it doesn’t take cash to patch flaws or regret. Sappy, but done with an emotional lure that doesn’t feel inauthentic or exploitative. That goes for all of the soft, comfortable world of The Mule even at is most dramatic. From a digital source, finished at 2K, Warner sends The Mule to UHD unvarnished. Some questionable smearing and lively noise in the opening scenes draw ire, but that’s visual effects at play. 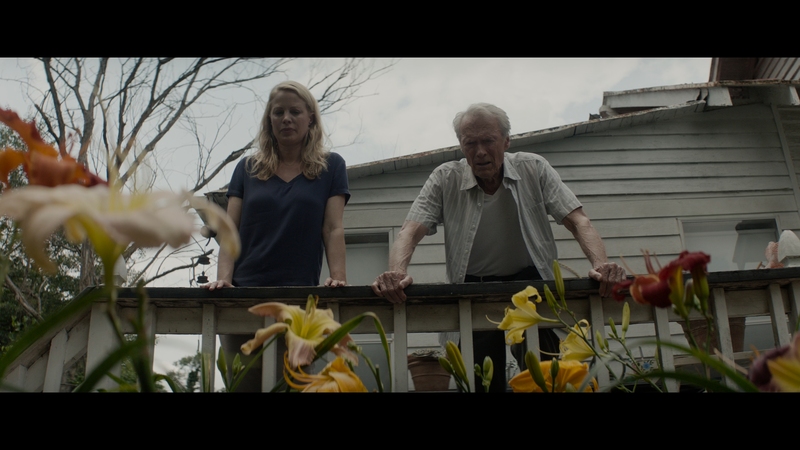 Both Eastwood and his on-screen – plus real life – daughter (Alison Eastwood) undergo some digital smoothing. That leaves behind artifacts. Noise will persist, if not to any aggressive degree. Mostly, low light quirks simmer in the background. That’s not causing a loss of fidelity. The Mule spends most of its time completely clear, allowing substantial facial texture to breathe. 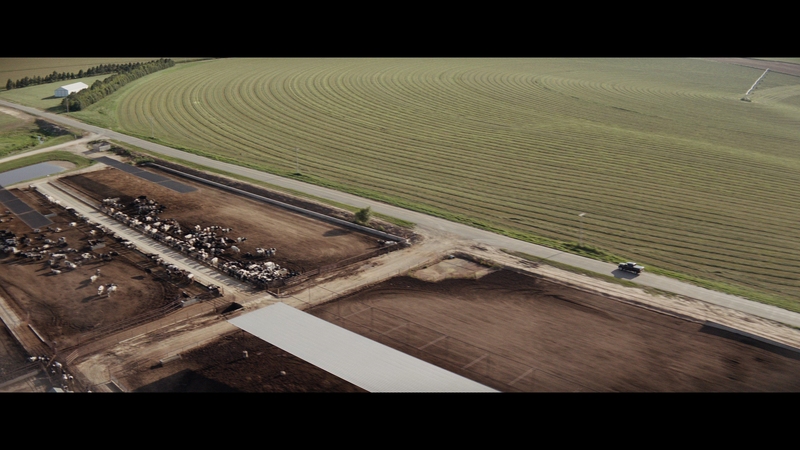 This is also a road movie, with extensive scenery of America’s roads, shot gorgeously from above with sharpness. Fidelity rarely wavers. Praise continues into the bright, even vivid contrast. Mostly sun-lit exteriors give this one life. The HDR pass gives intensity to, say, some lights hanging in a Mexican drug compound. As for the rest, it’s overall impact, enriching images as opposed to specific objects. That’s natural and appealing, with the same attention given the black levels. The Mule is a great disc to show organic depth. Muted, The Mule spends time pale, but with pleasing primaries. It’s an interesting case of color grading, where flesh tones sink but scenery sticks out. Watch for trees or the VFW scene with enriched color surrounding the cast. There’s life here, but selectively so to keep tone intact. Hearty contrast keeps the Blu-ray edition enriched. Brightness sustains imagery. Nice black levels counter for pure, natural depth. 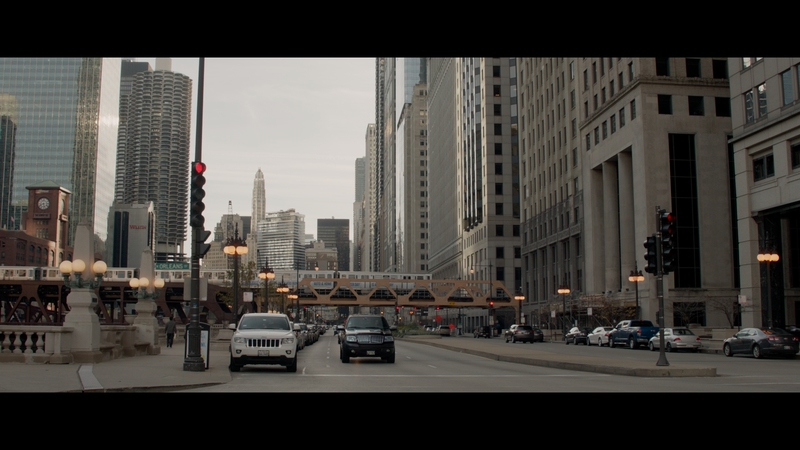 Warner’s encode sufficiently avoids compression artifacts. A slight chill hovers over the palette, waning some primaries. Color still finds its moments, capturing the awesome roadside sights as Earl drives through America. DTS-HD serves both formats. The Mule’s wide soundstage manages great ambiance. In neighborhoods, dogs bark in the rears. When in DEA offices, a door closes in the right rear as characters walk down a hall. Crowds at weddings or parties fill the entire space. The Mule’s consistency is impressive for something so dialog driven. Some gunshots catch the low-end. That’s the only real work in the subwoofer, although helicopter rotors rumble lightly. The latter in flight works far better in terms of placement, sweeping through the rears in accurate pans, with equal attention paid to stereo tracking. Only on the Blu-ray, an 11-minute making-of titled Nobody Runs Forever details production basics in an ordinary way. There’s a music video following that, and sadly, that’s it for bonuses. The Mule is a story of using life experience to tell others what mistakes not to make, and to make a few bucks by hauling cocaine.